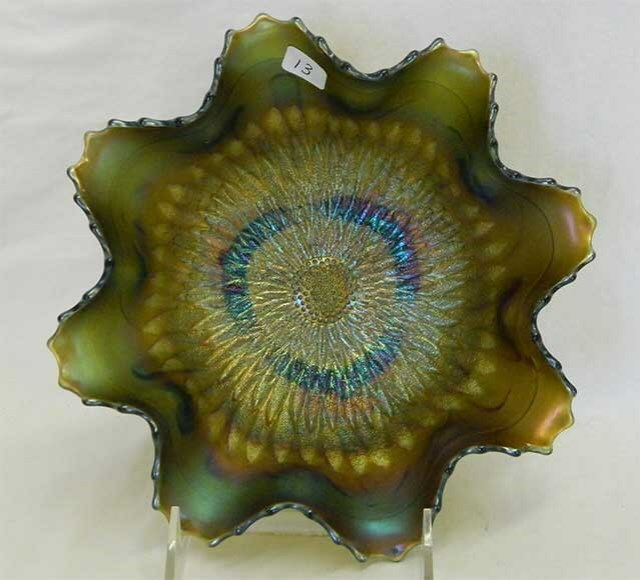 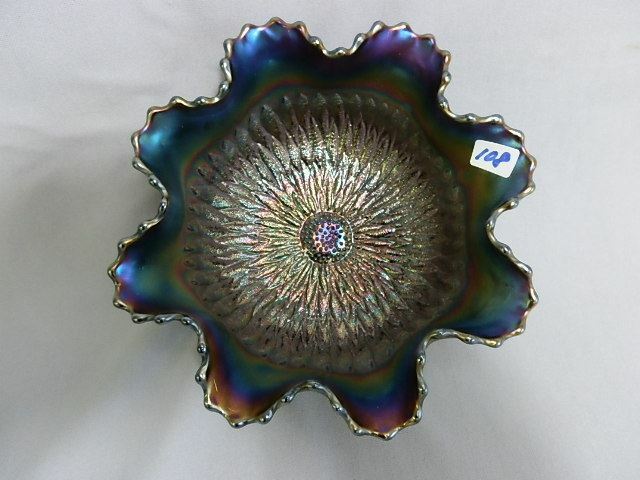 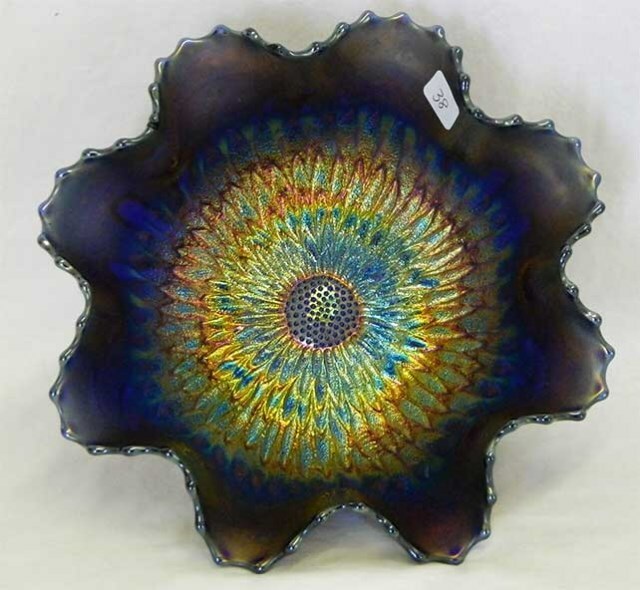 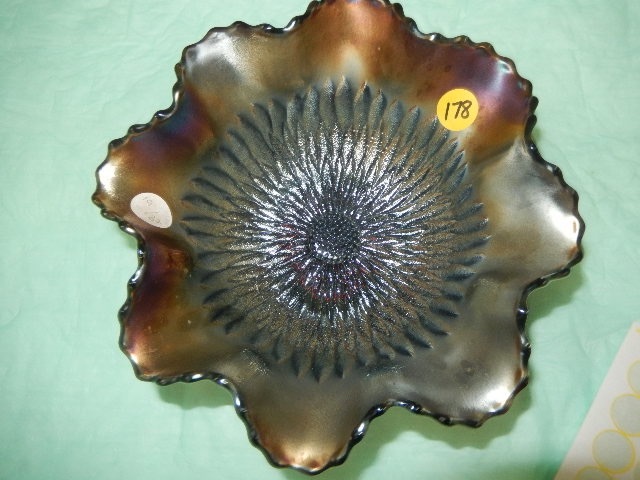 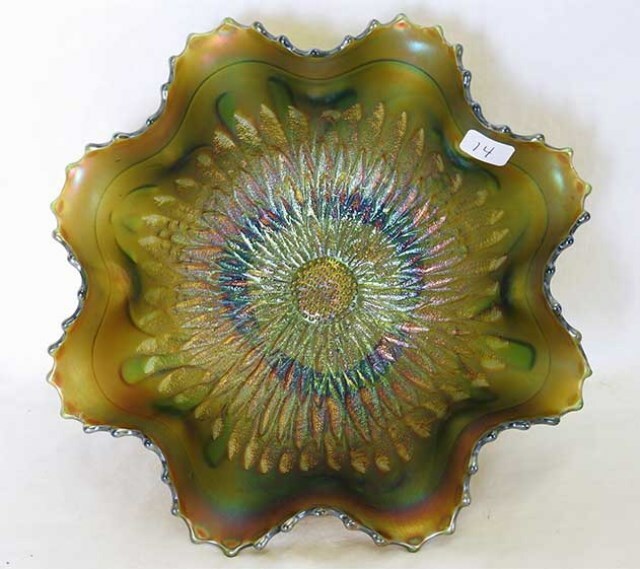 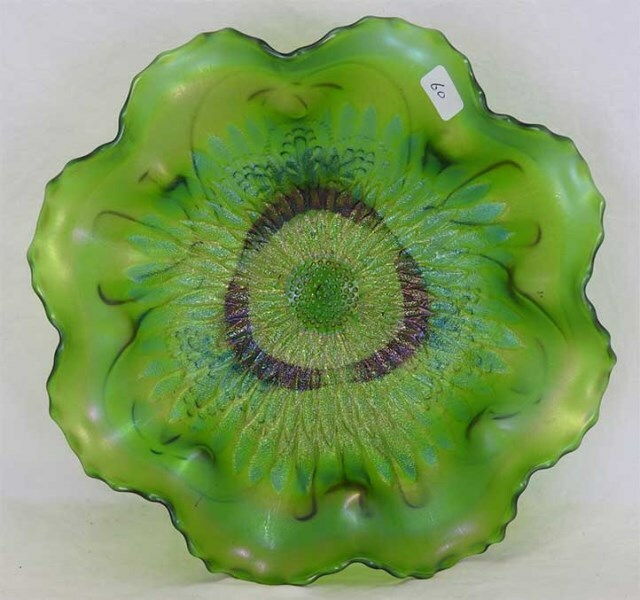 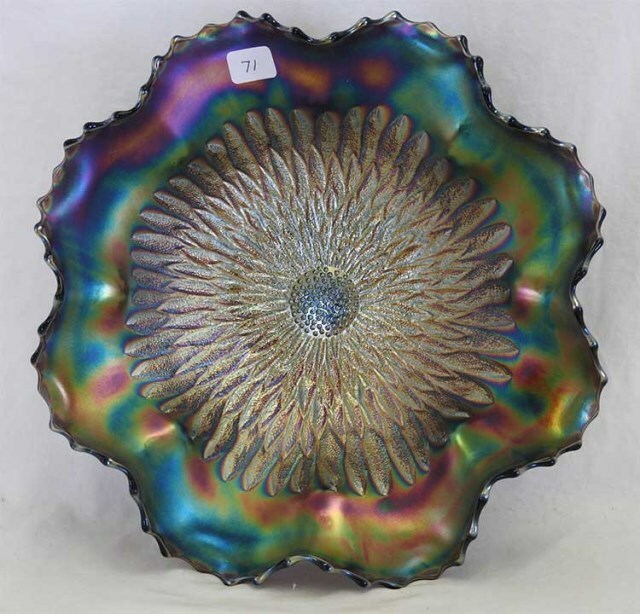 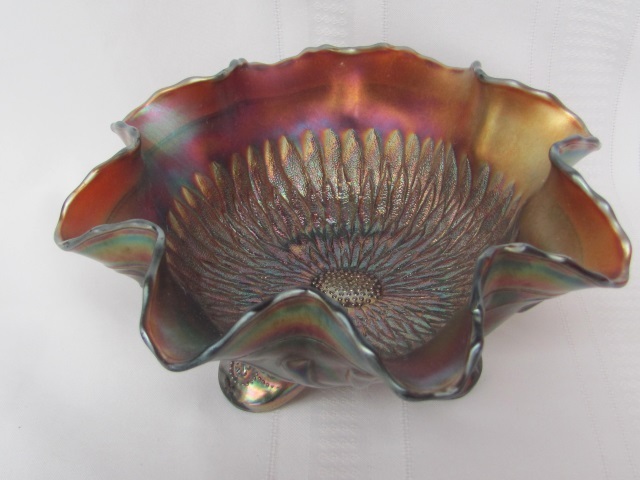 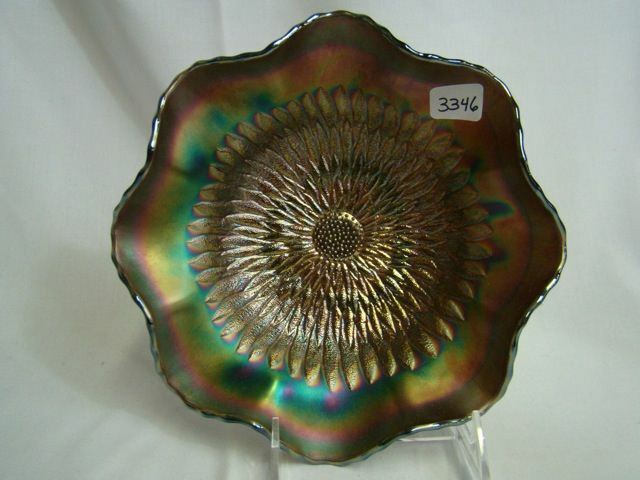 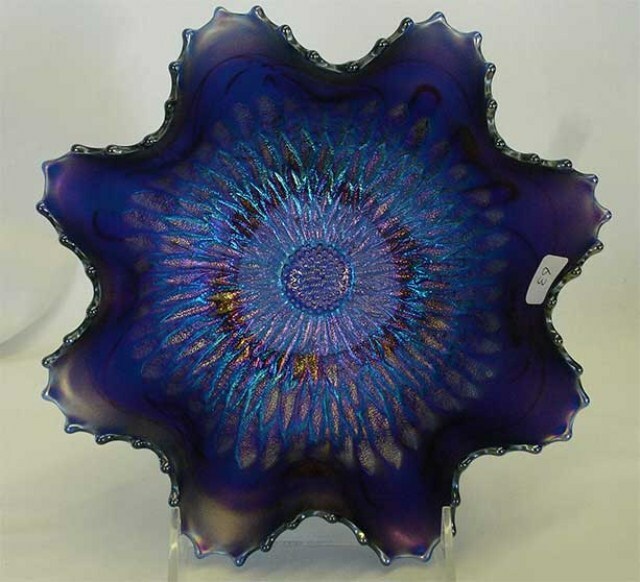 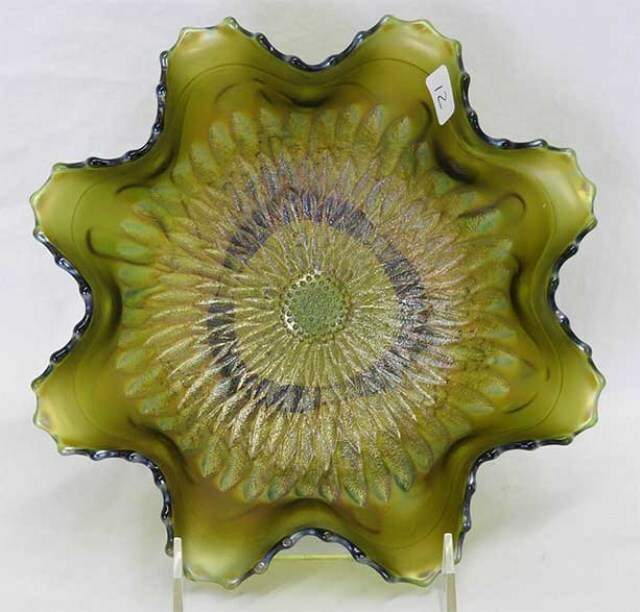 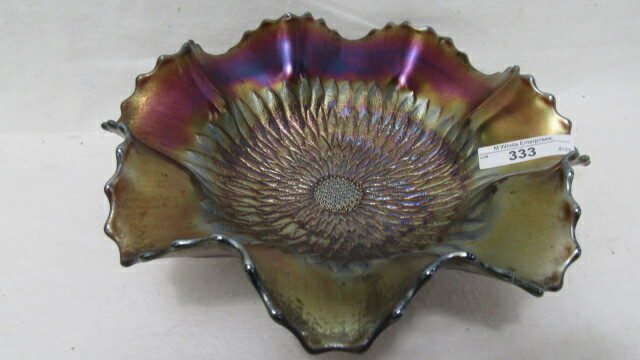 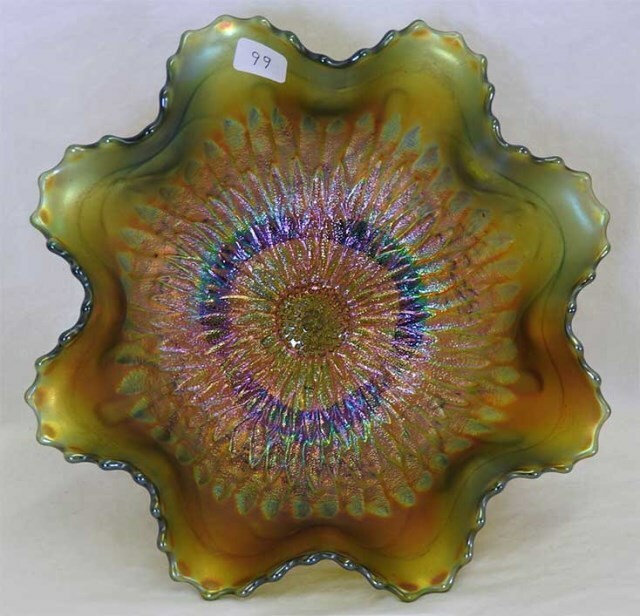 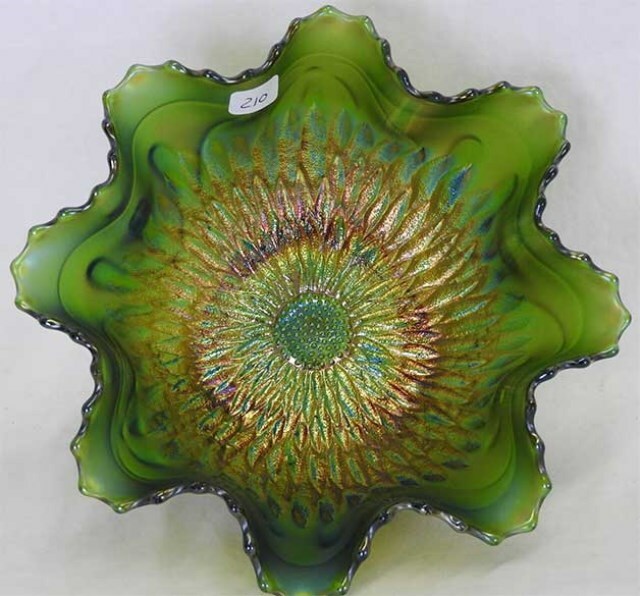 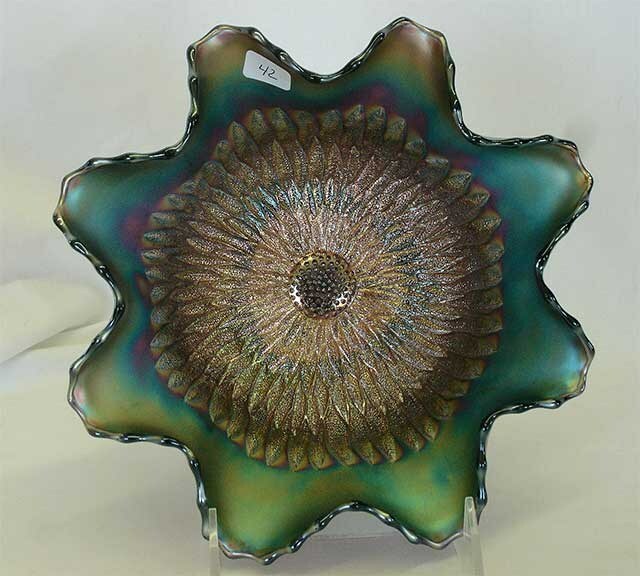 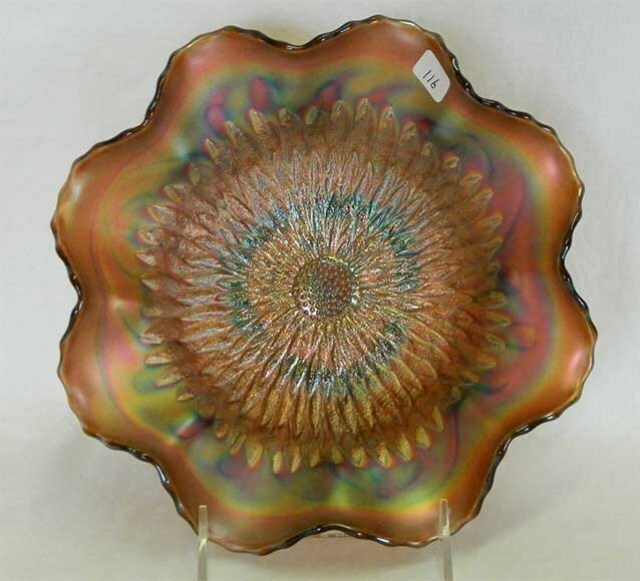 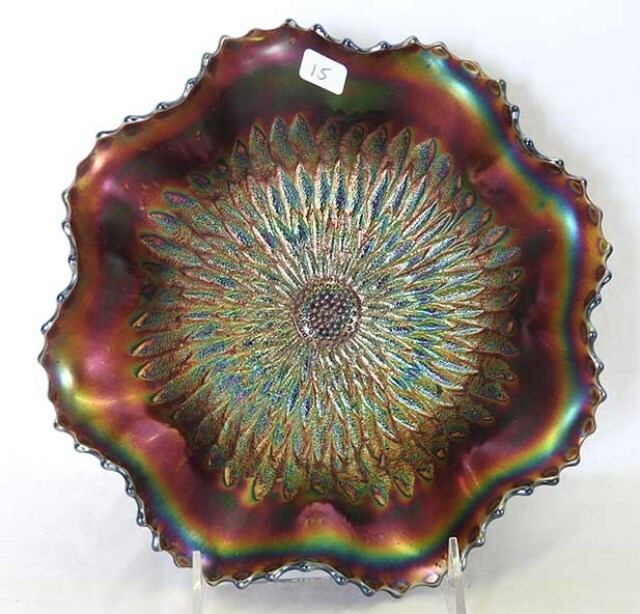 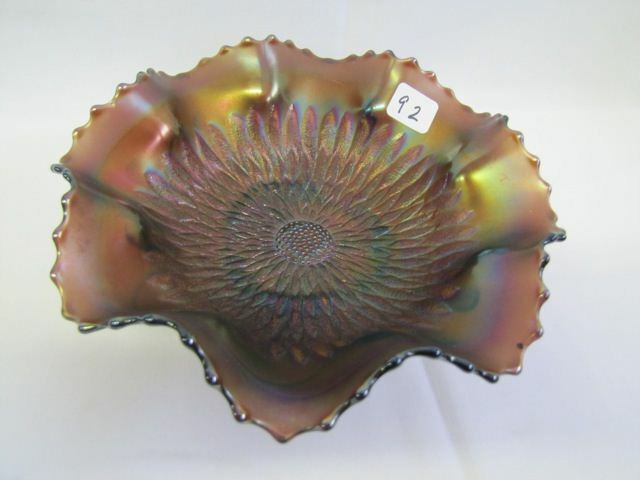 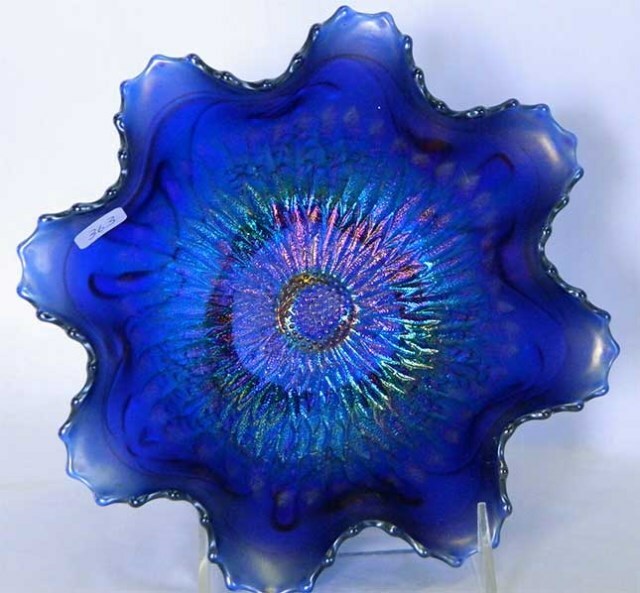 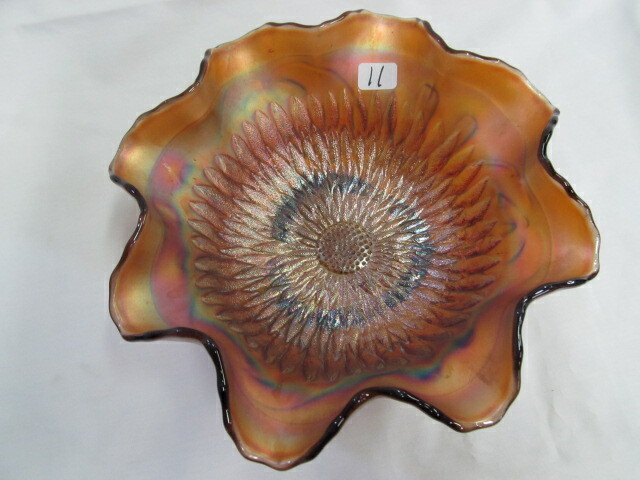 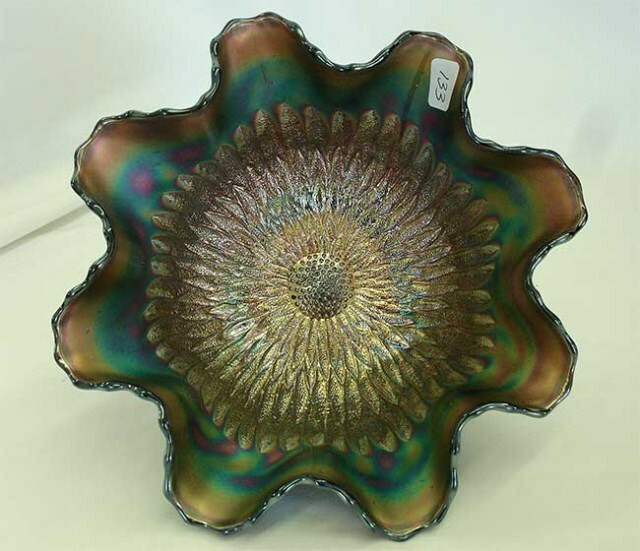 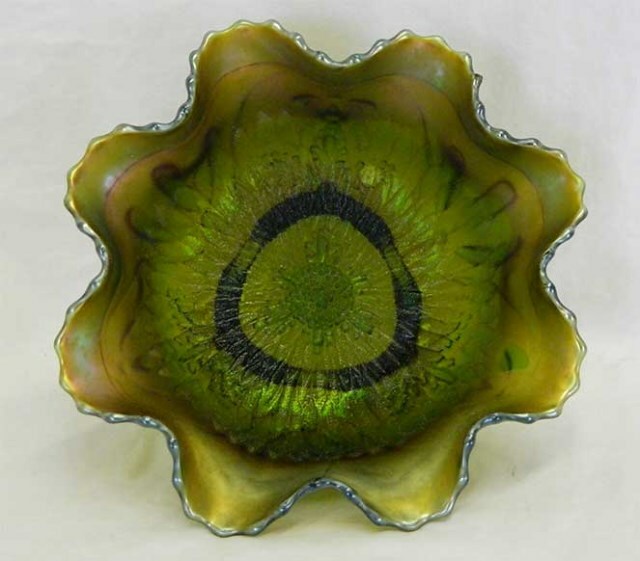 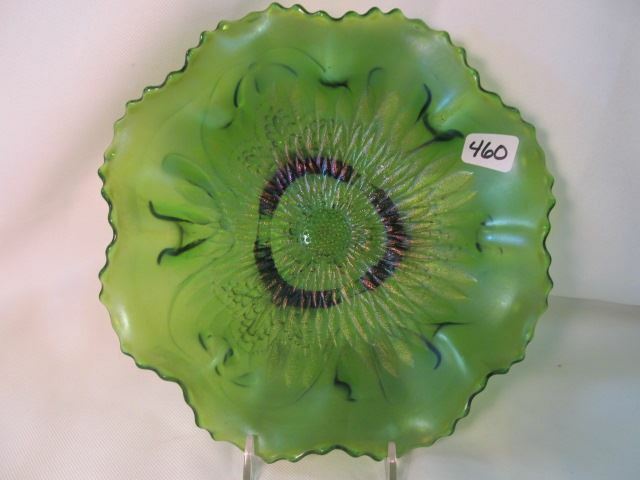 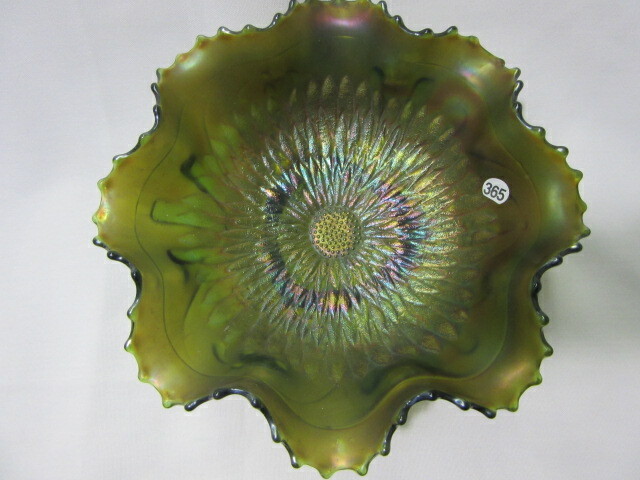 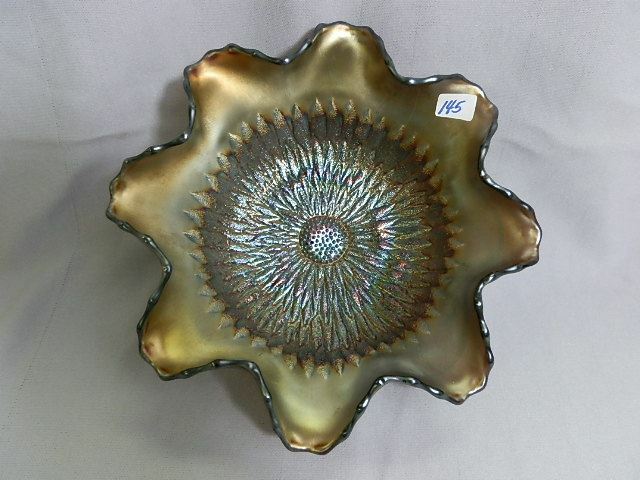 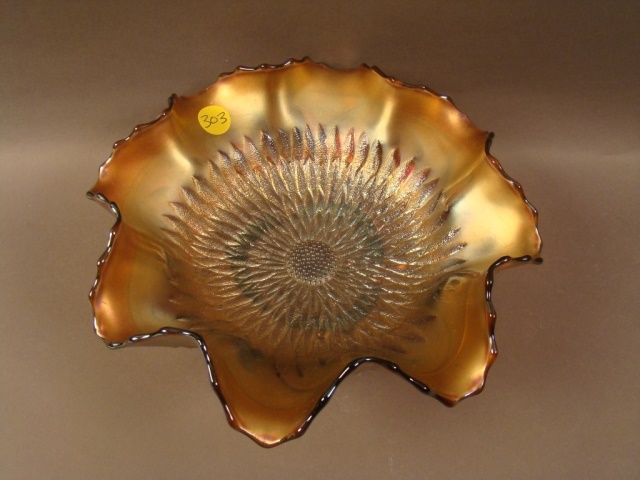 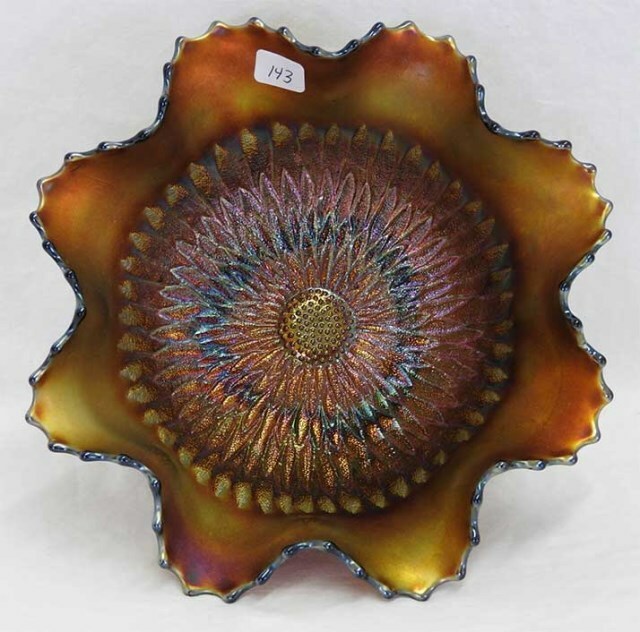 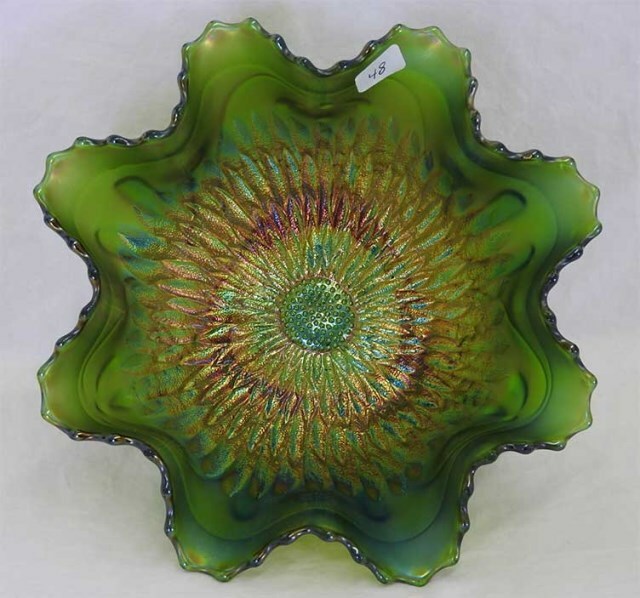 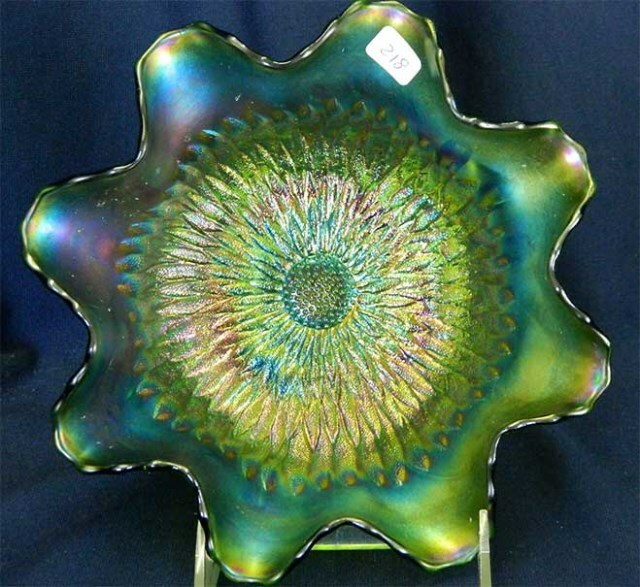 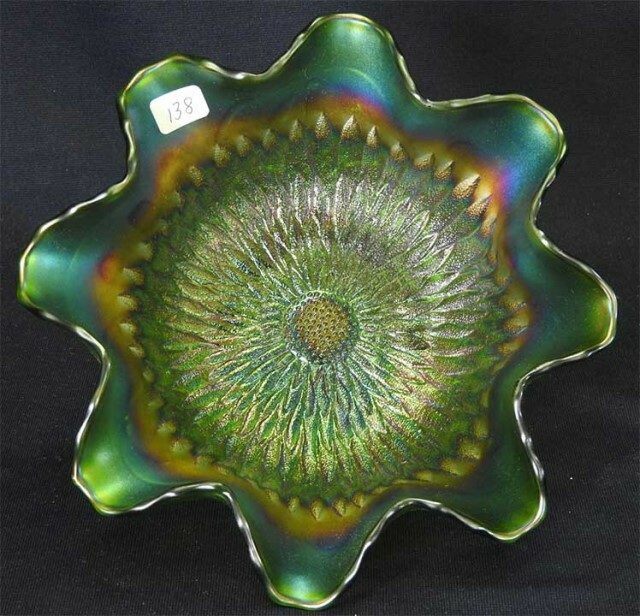 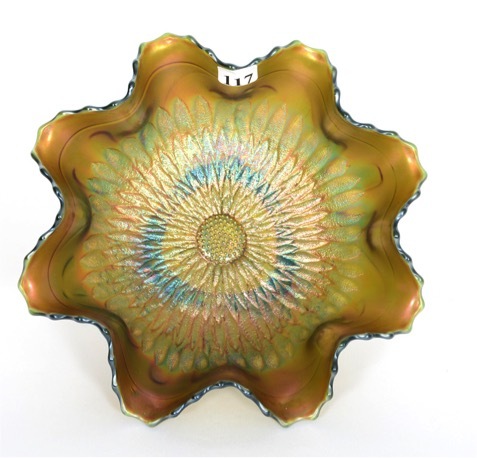 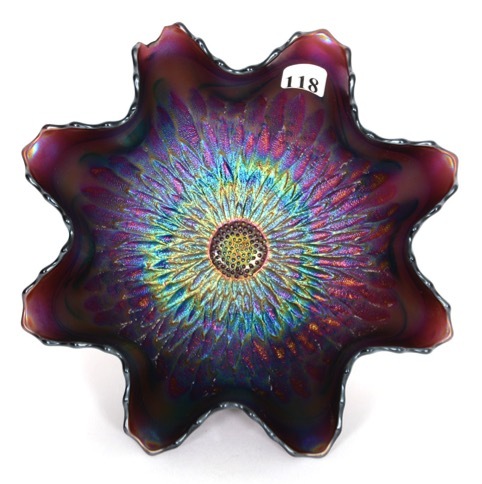 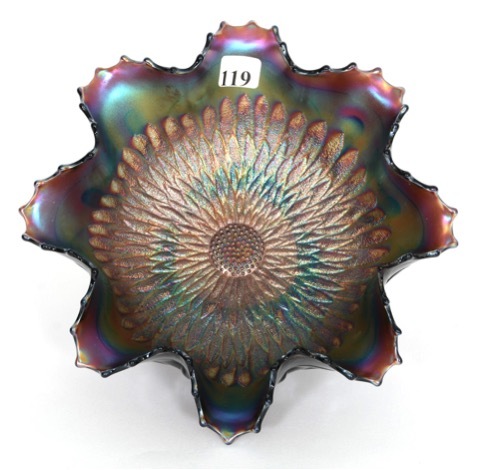 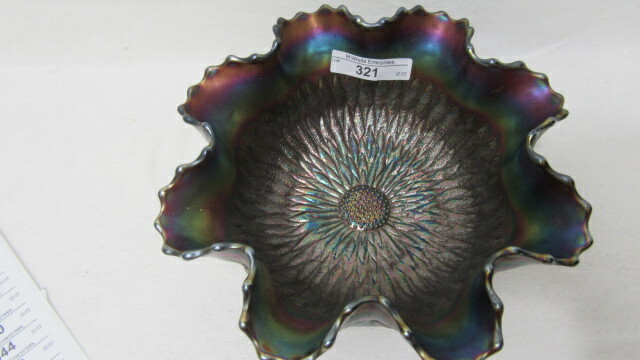 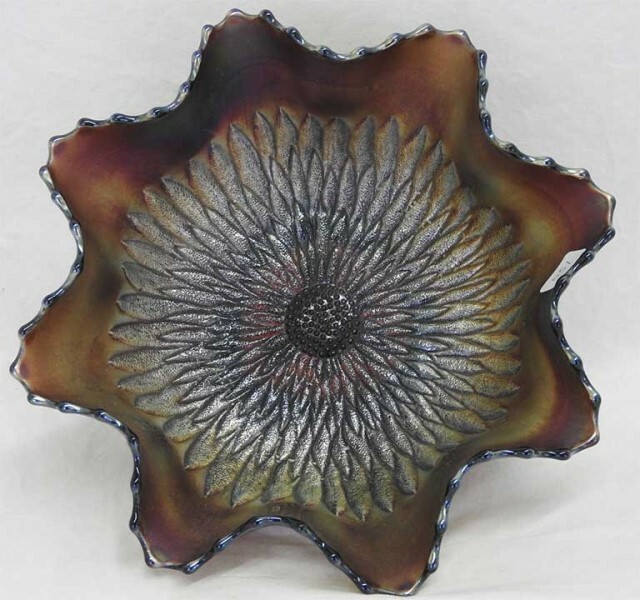 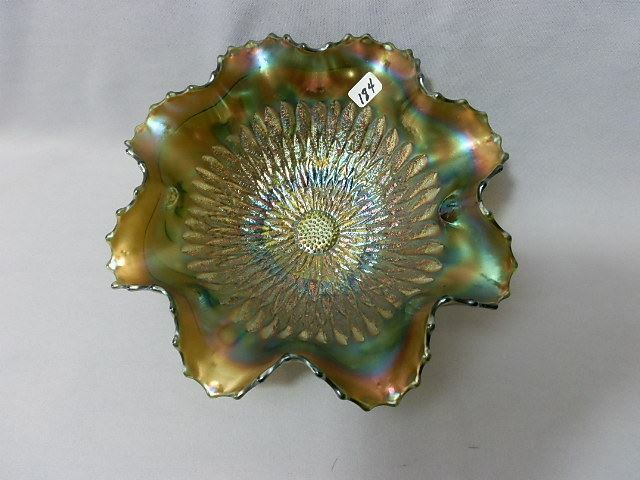 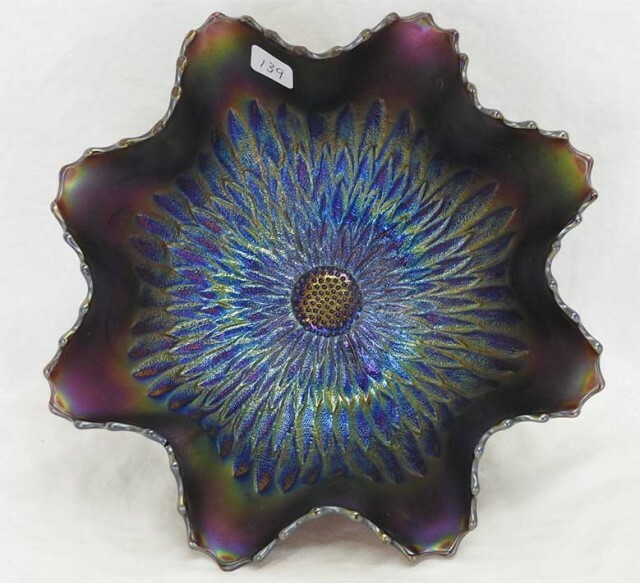 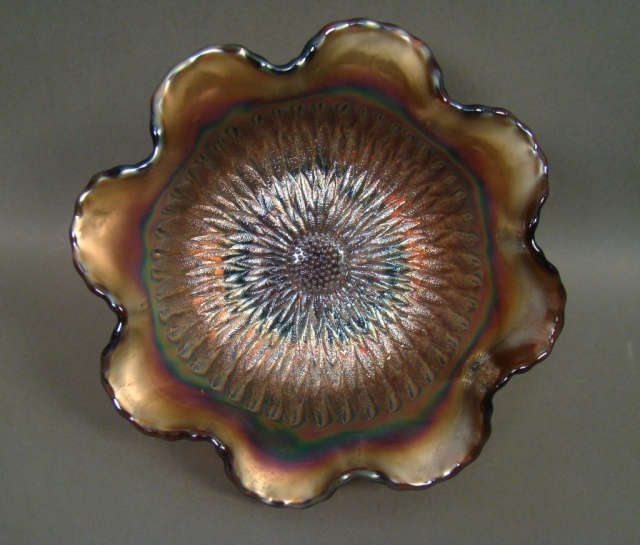 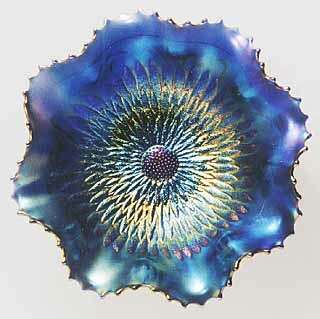 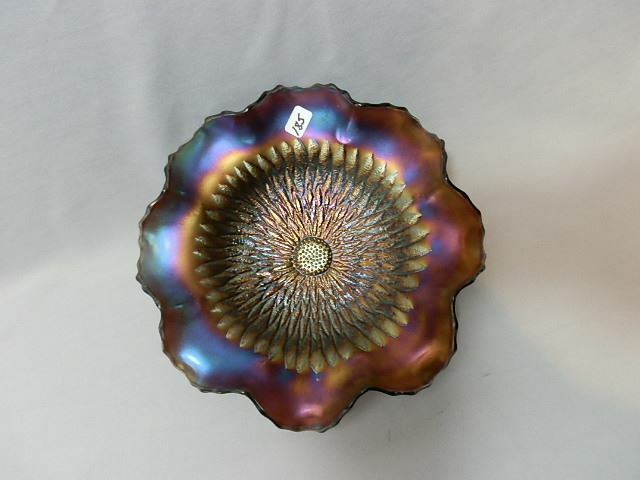 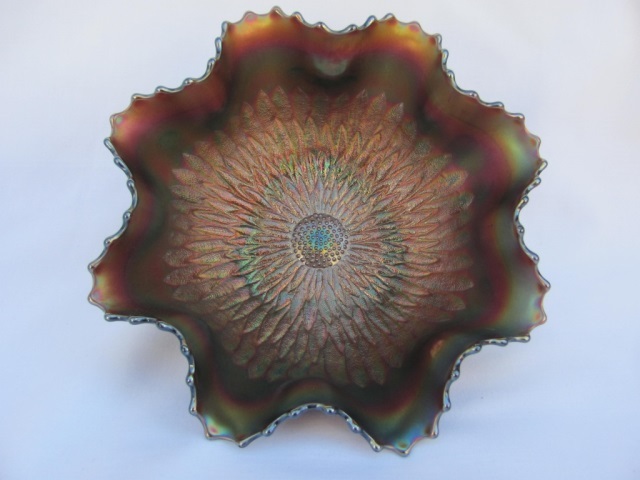 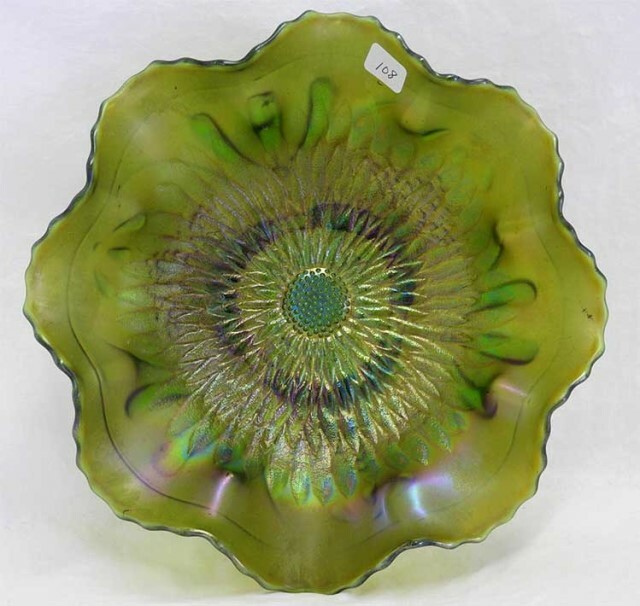 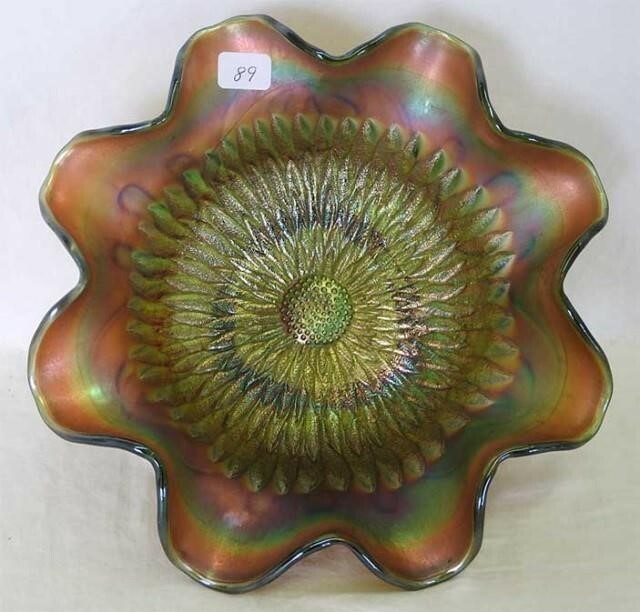 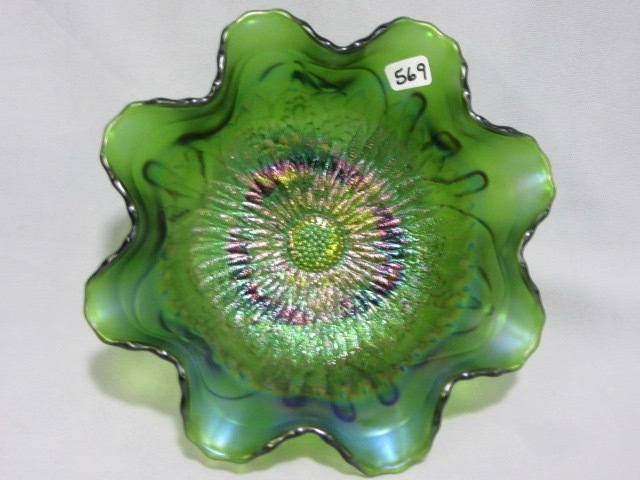 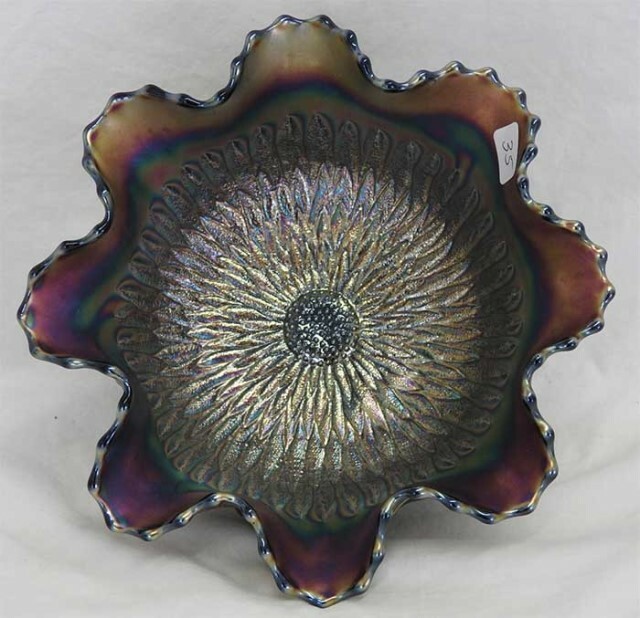 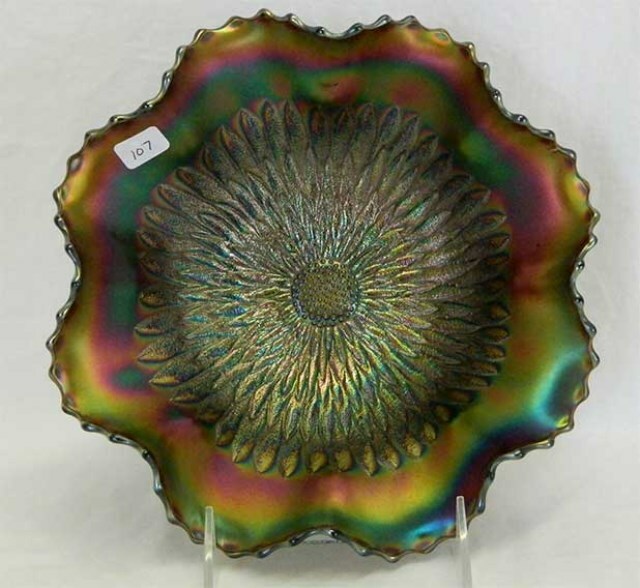 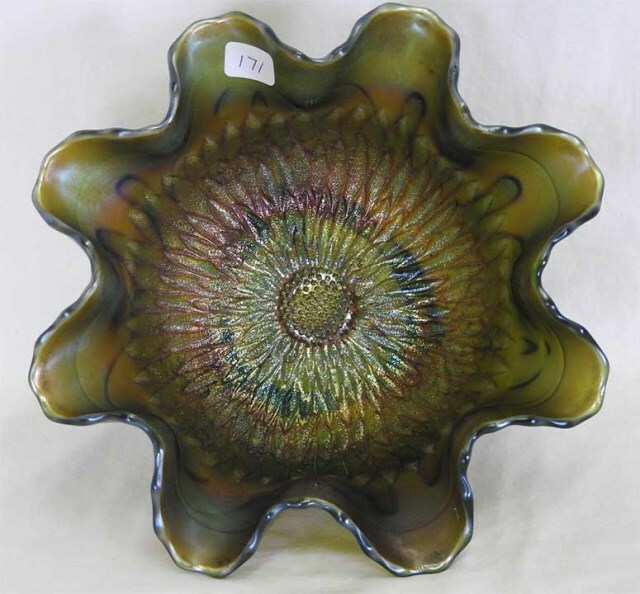 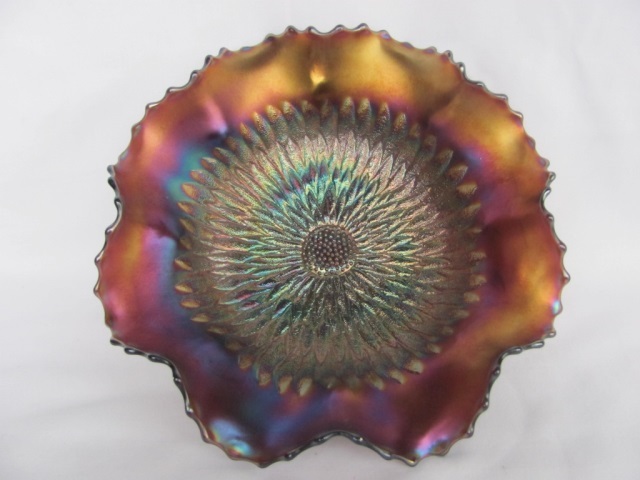 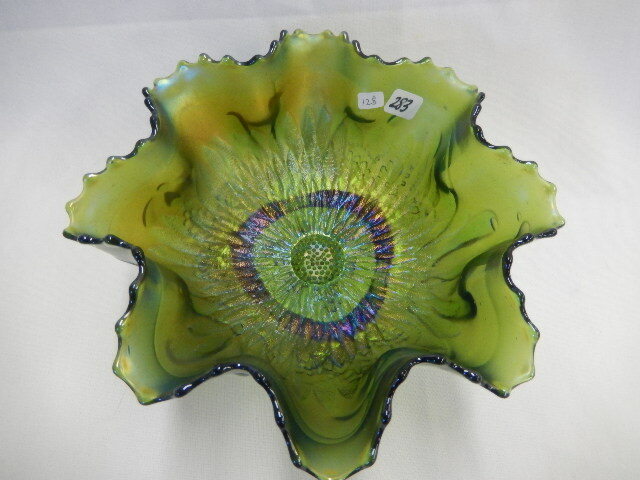 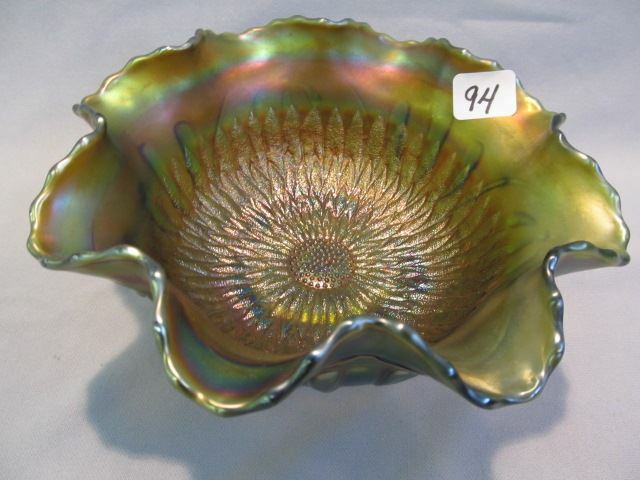 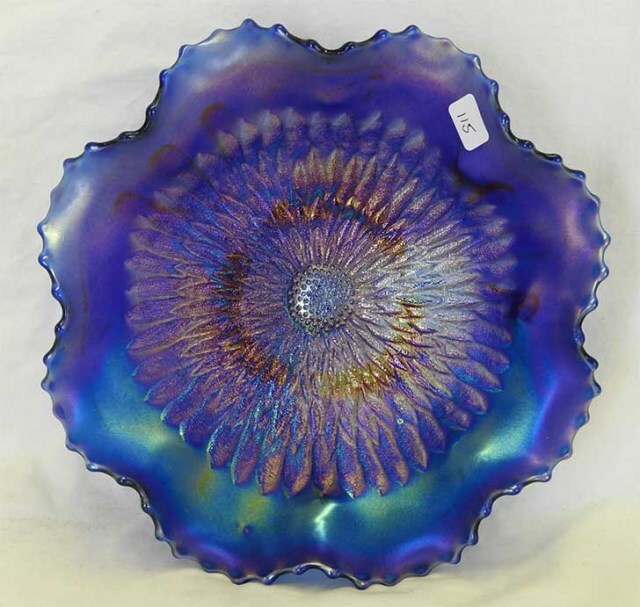 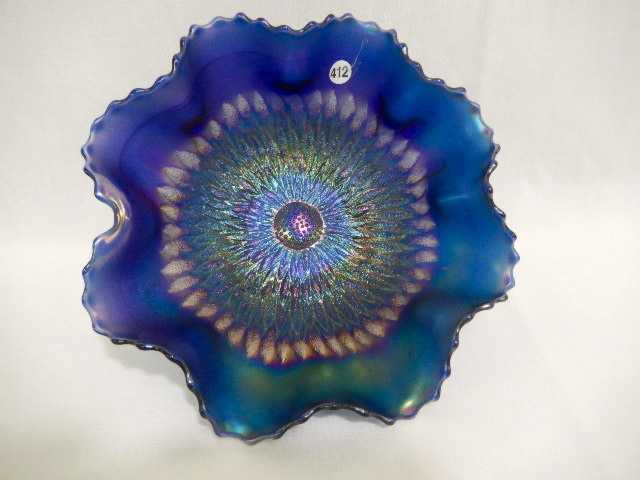 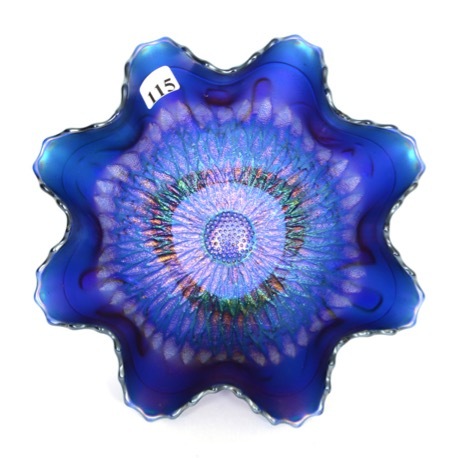 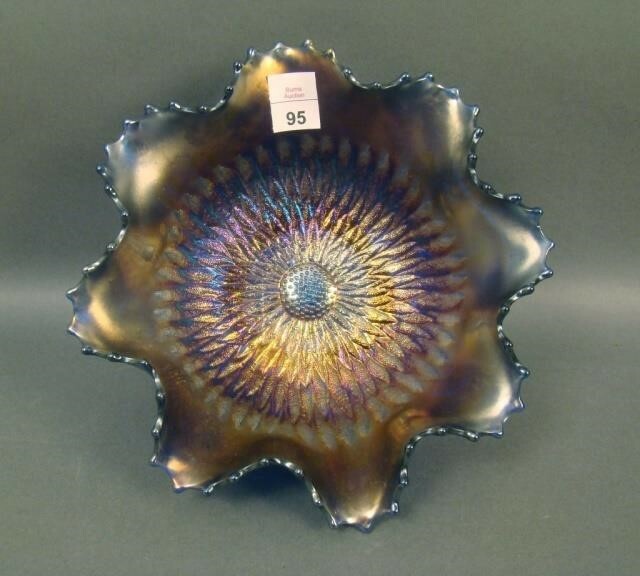 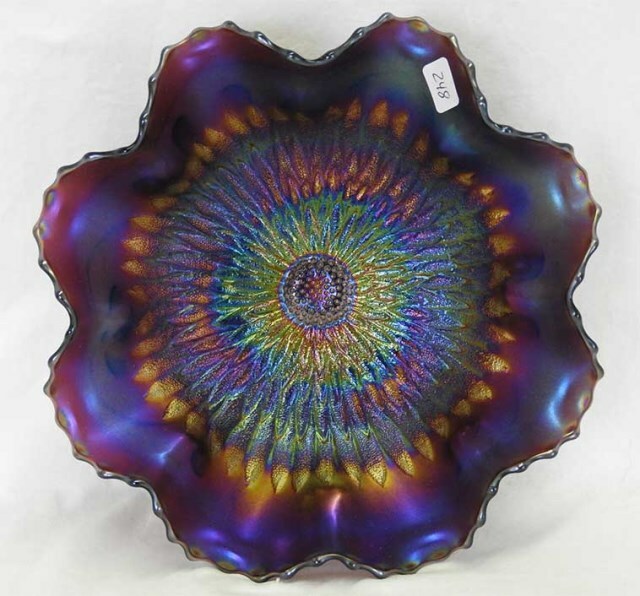 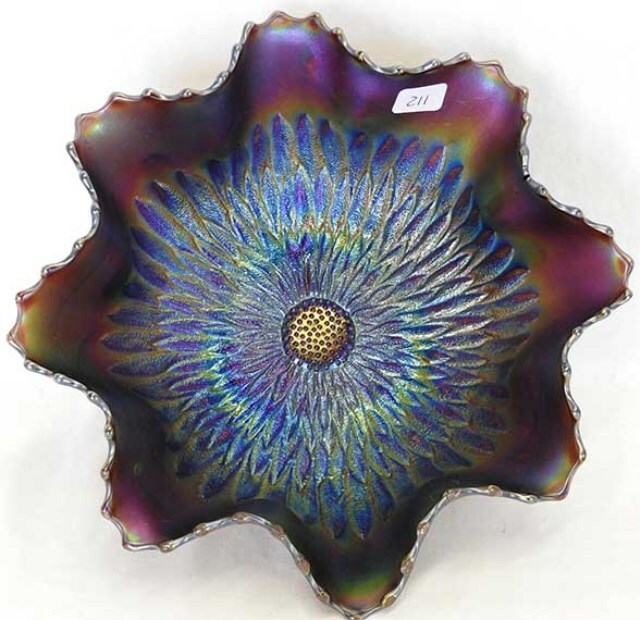 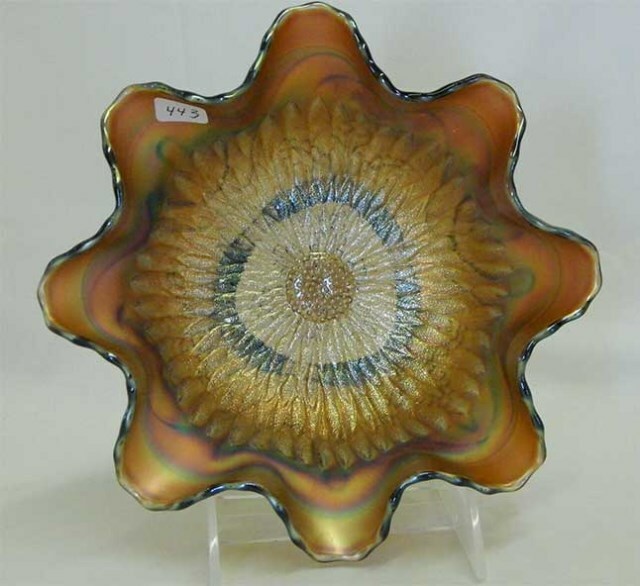 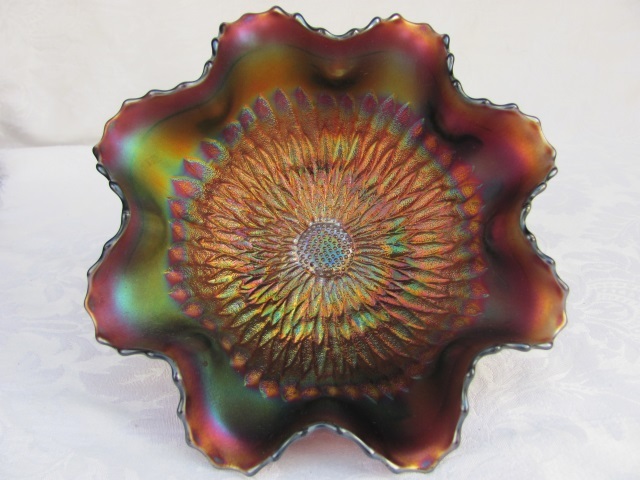 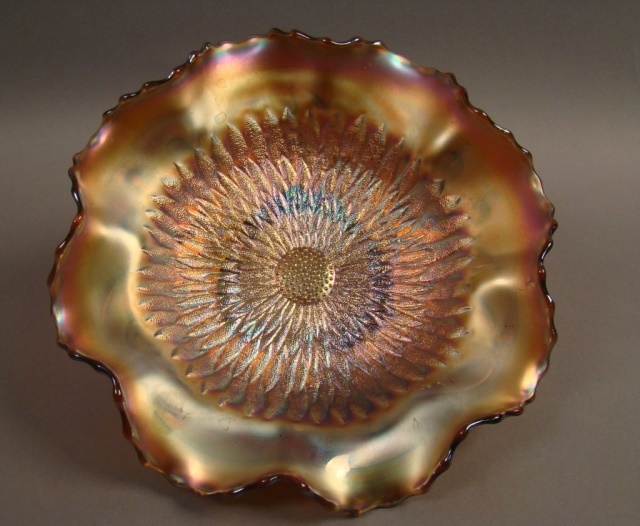 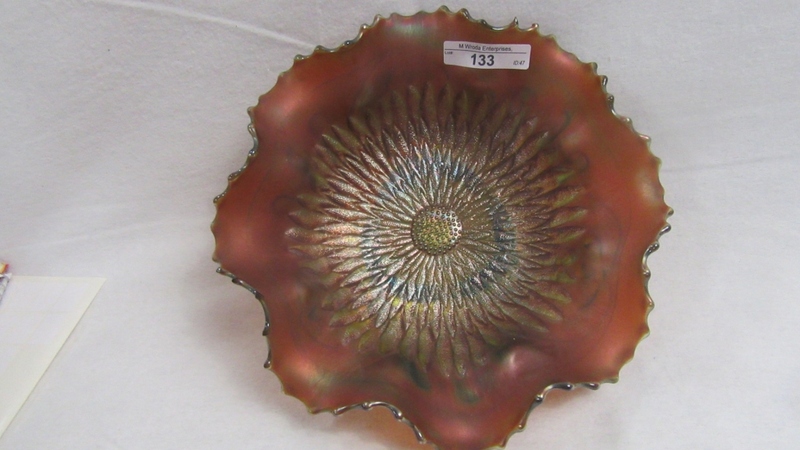 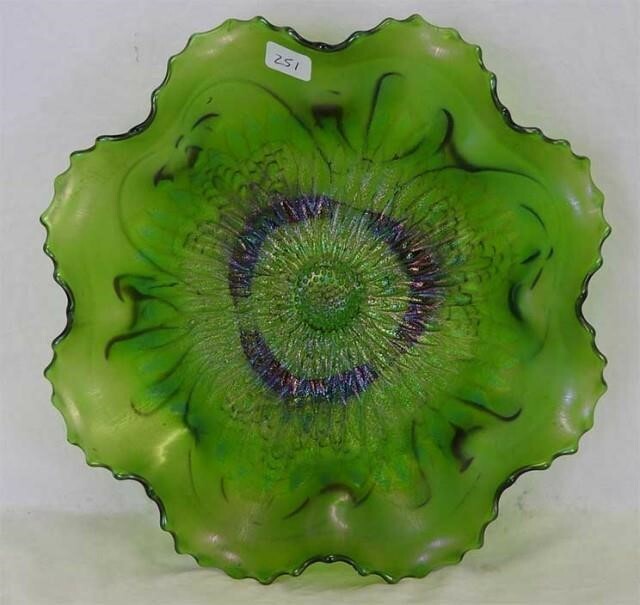 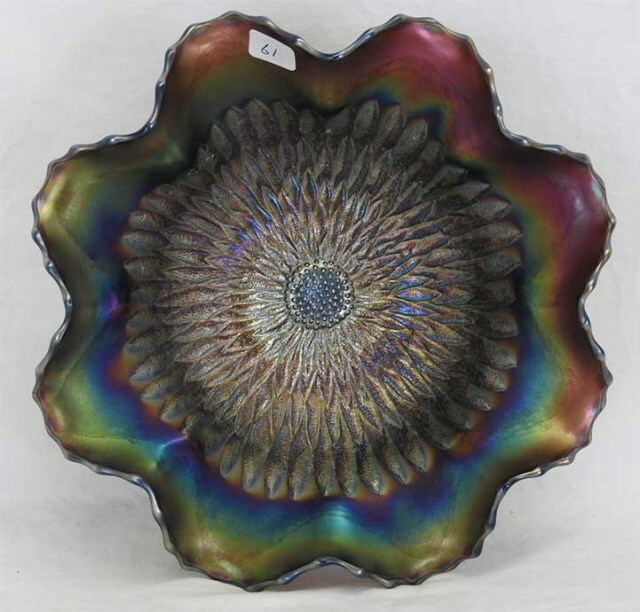 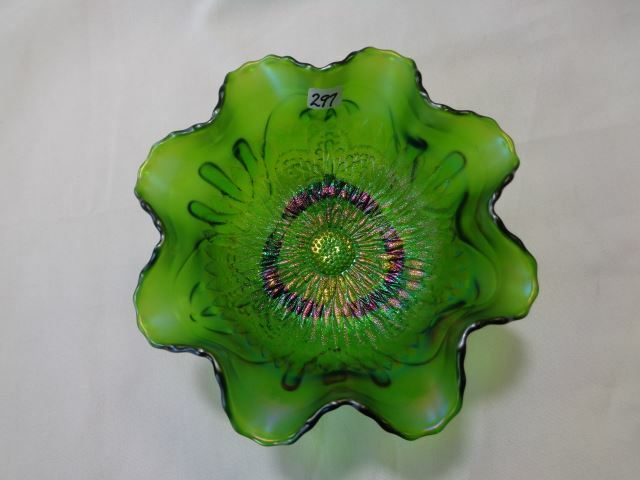 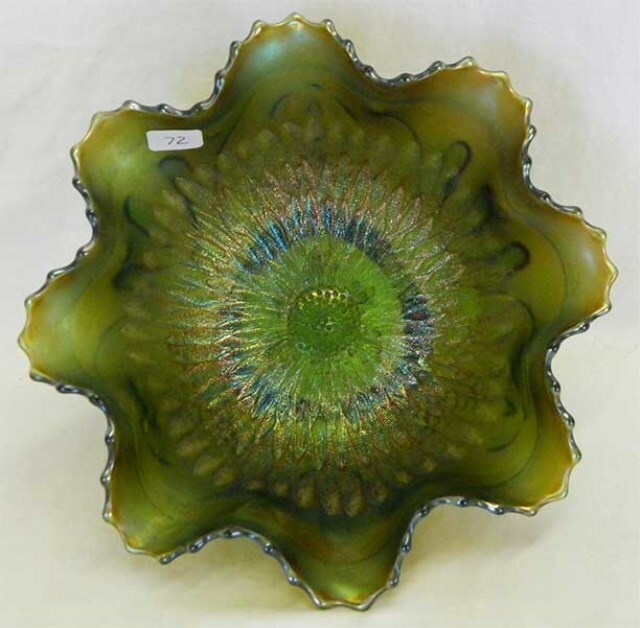 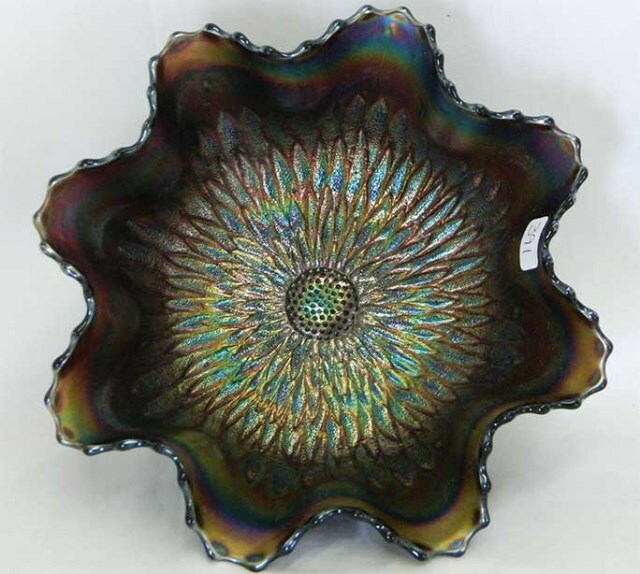 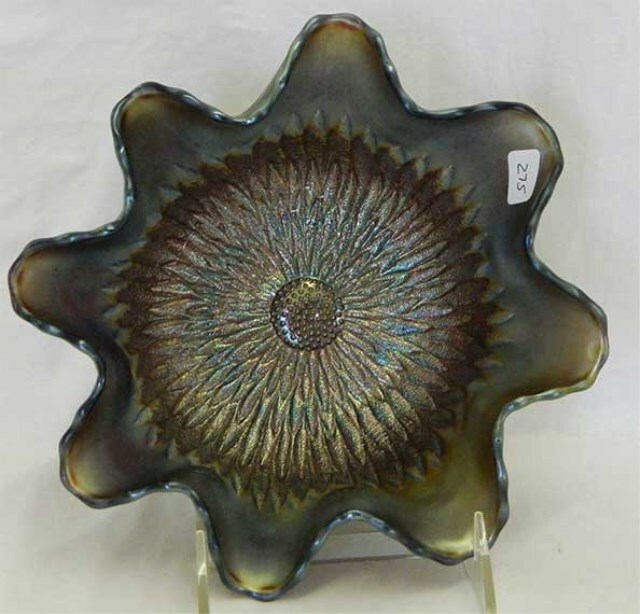 A simple yet dramatic design with a huge sunflower dominating the middle of the bowl. 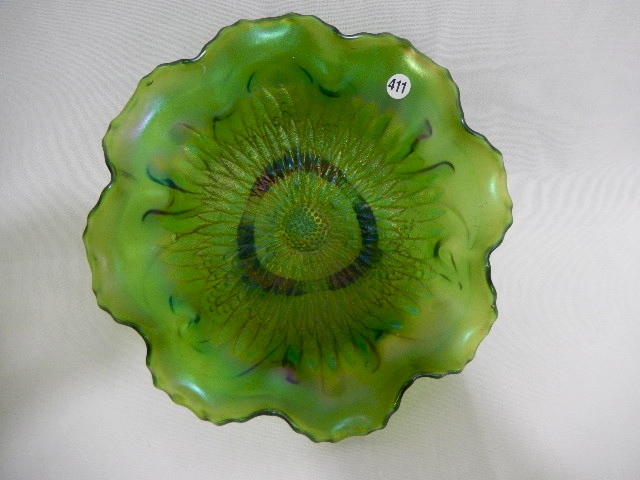 Found only in spatula-footed bowls with the Meander pattern on the back. 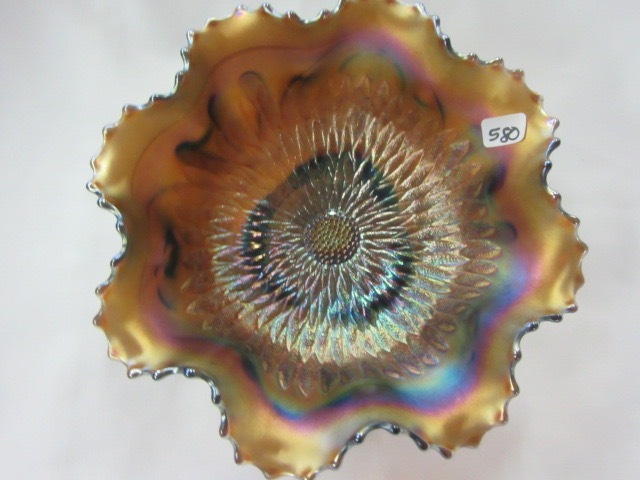 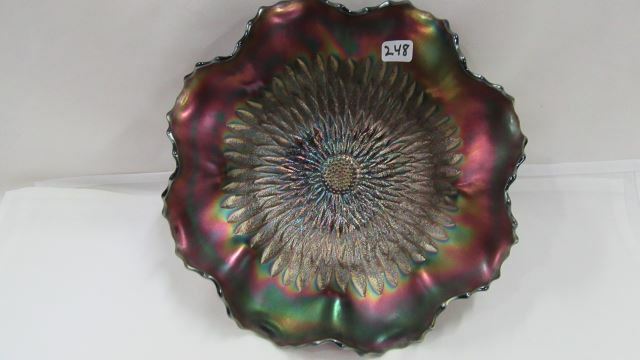 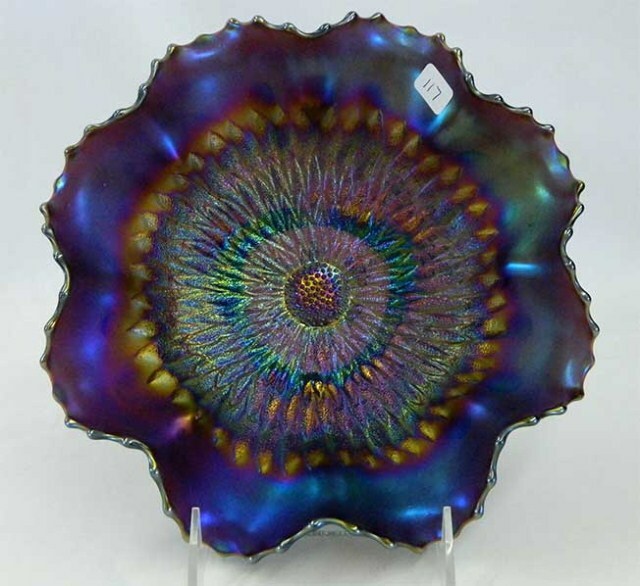 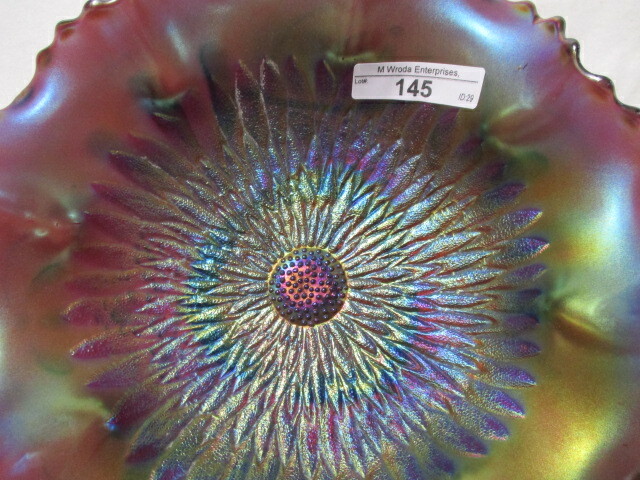 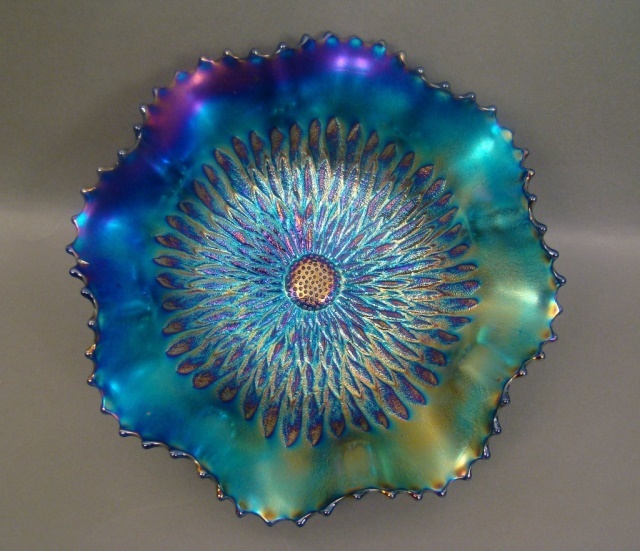 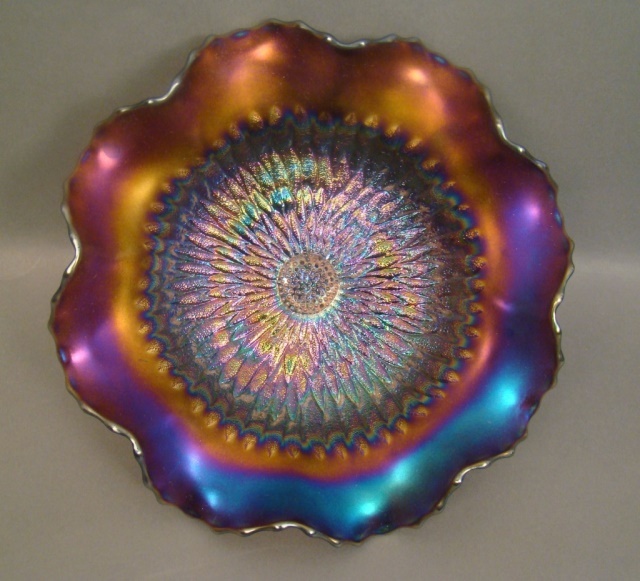 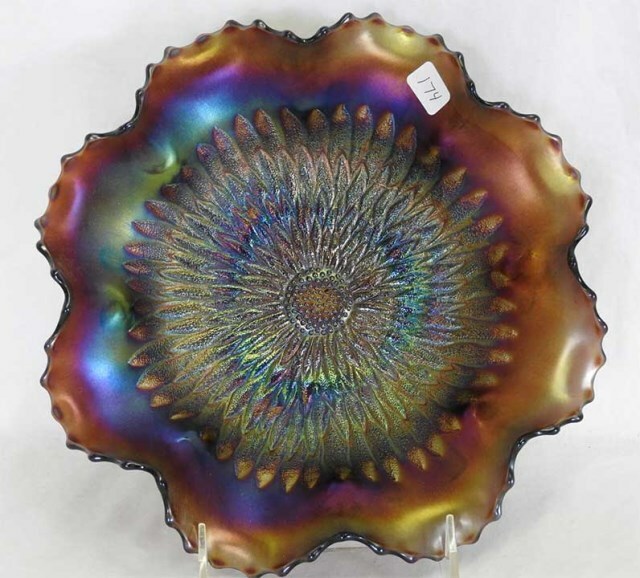 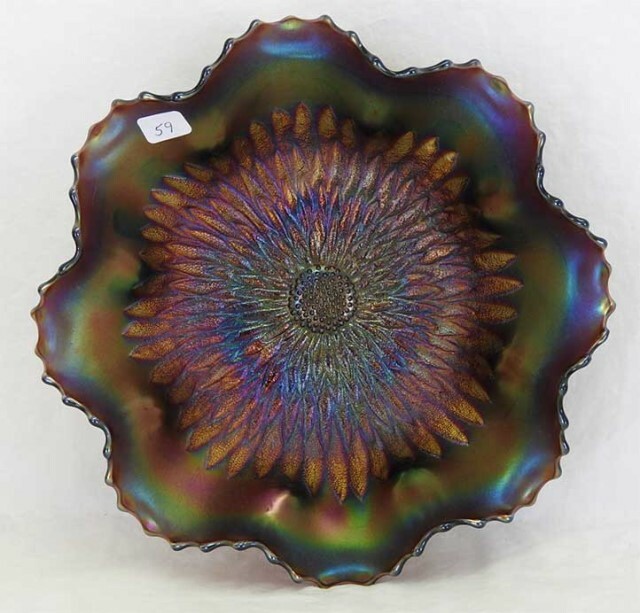 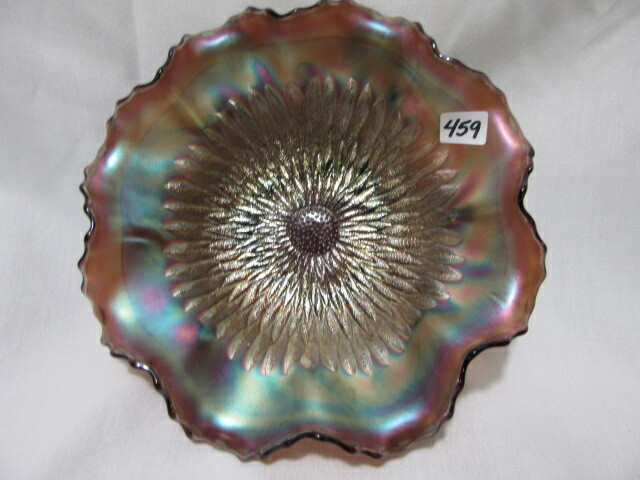 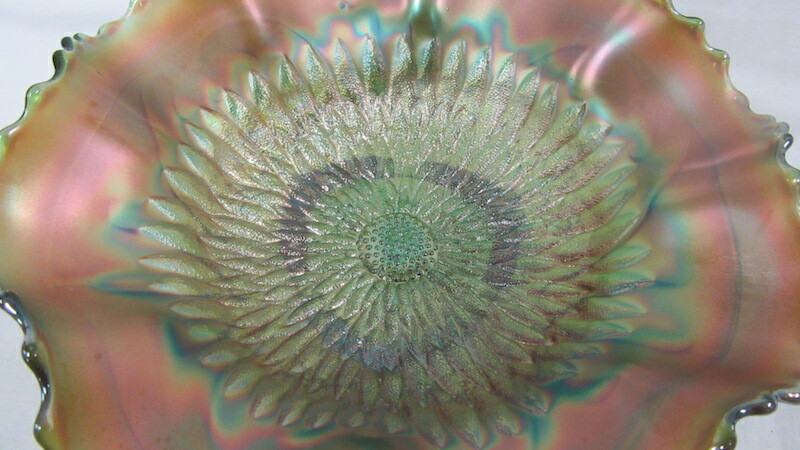 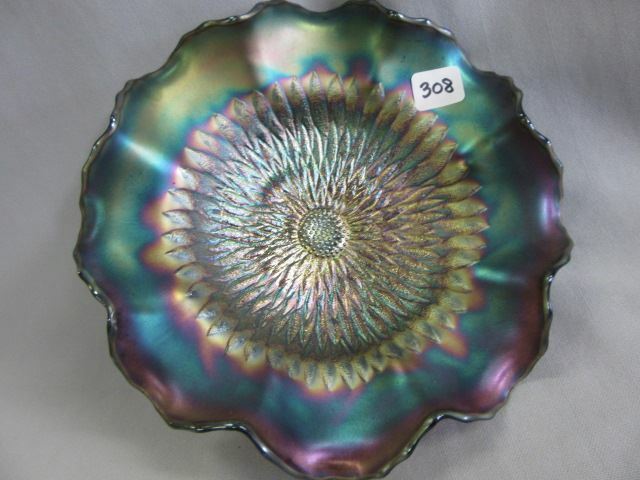 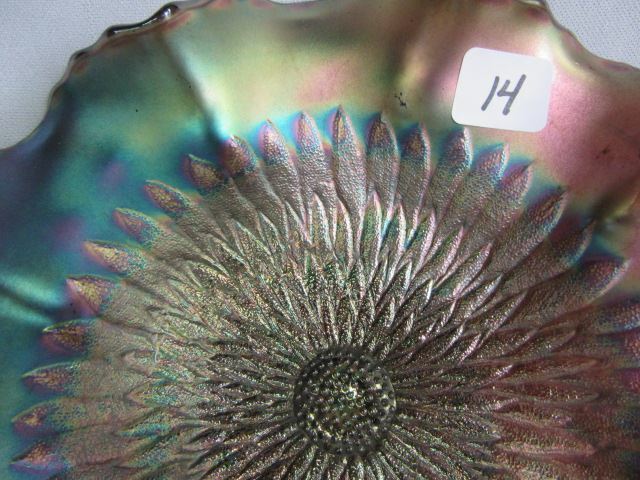 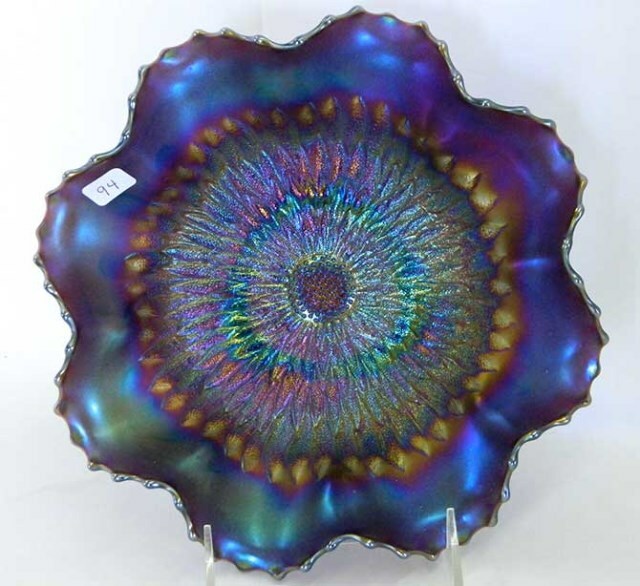 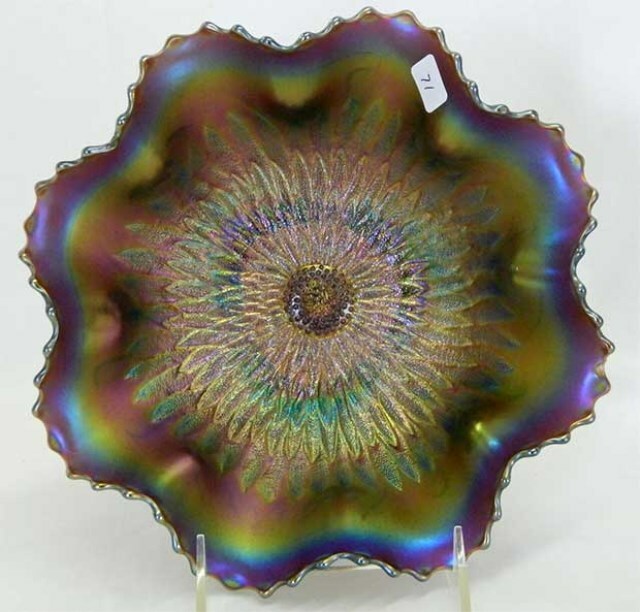 Quality of iridescence can make a huge difference in value. 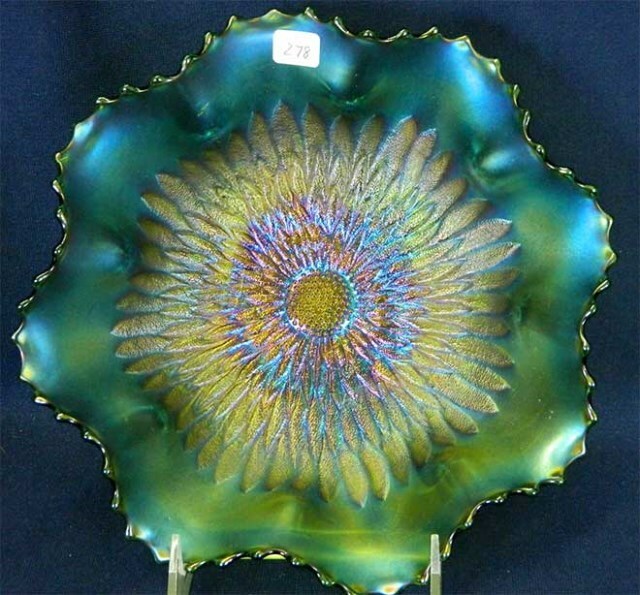 Above, right is one of the few examples of Northwood Sunflower that I've heard of in aqua opal. 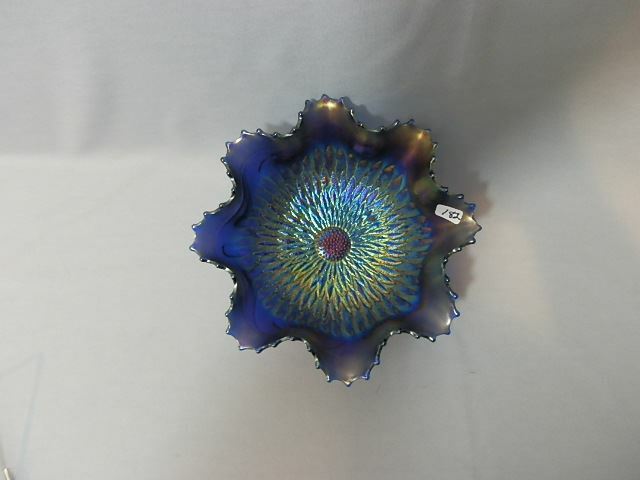 Courtesy of George Webb. 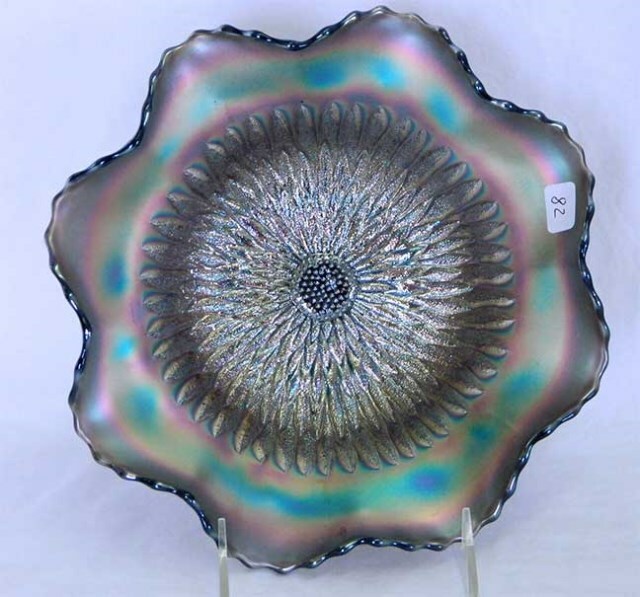 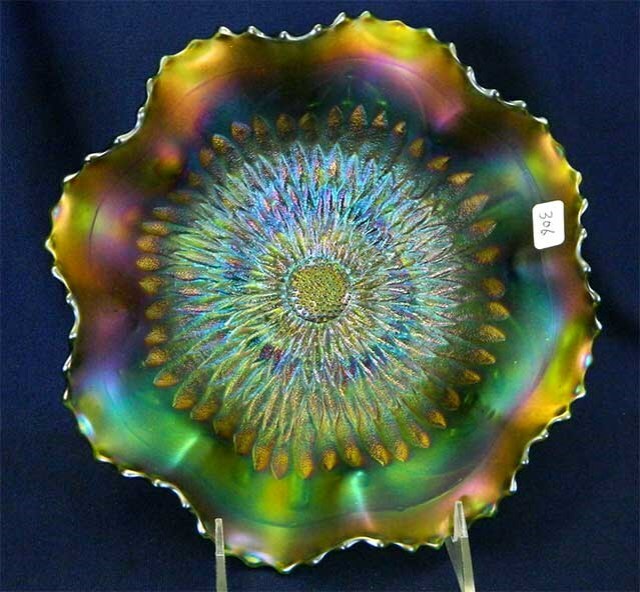 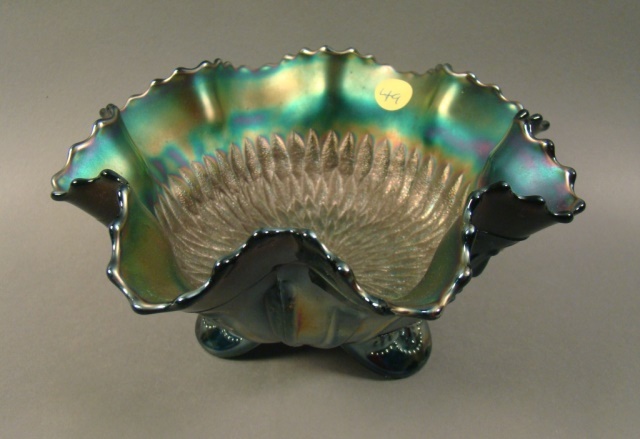 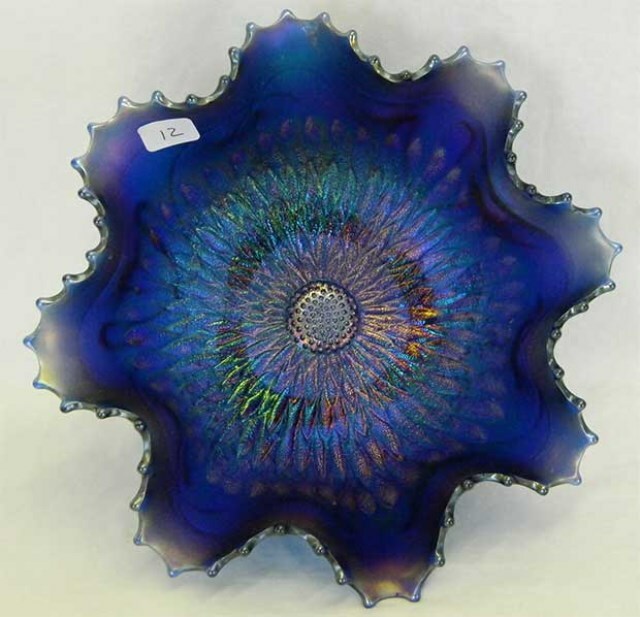 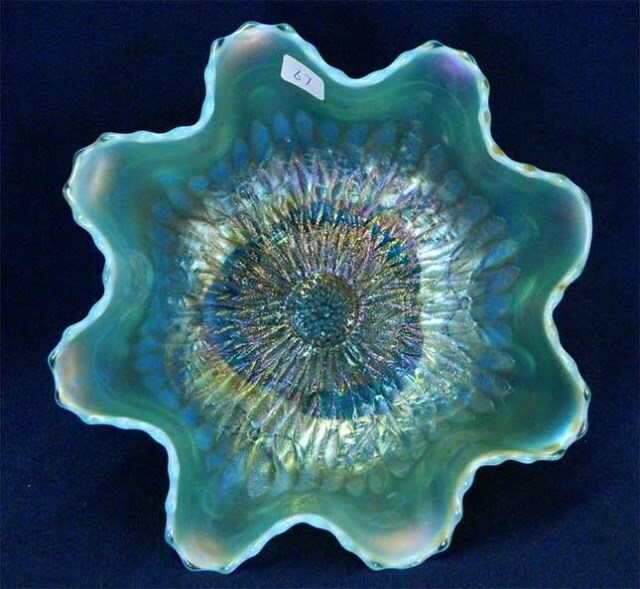 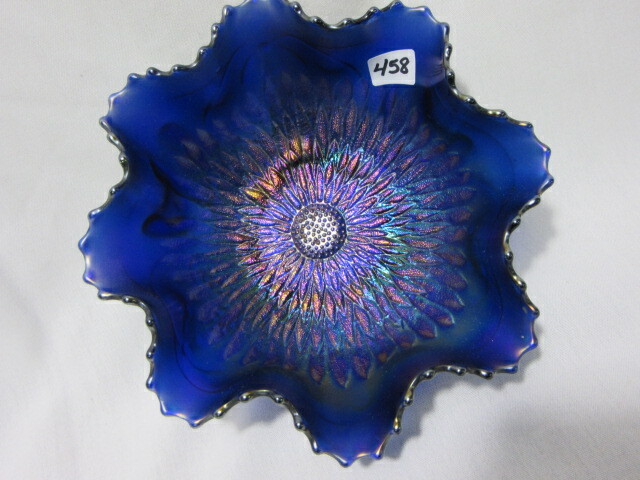 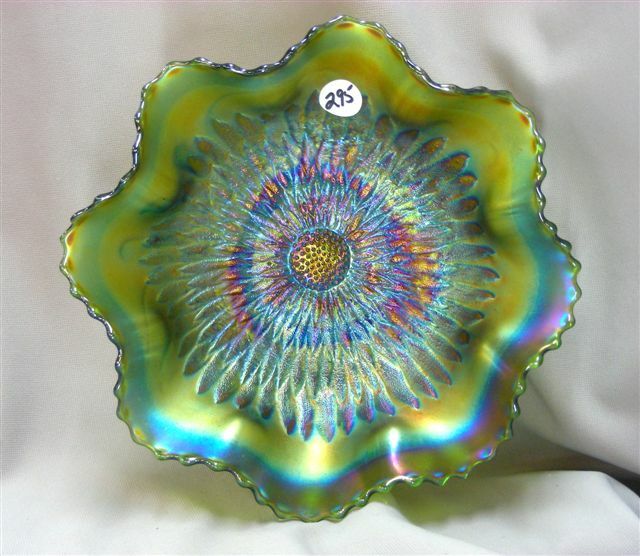 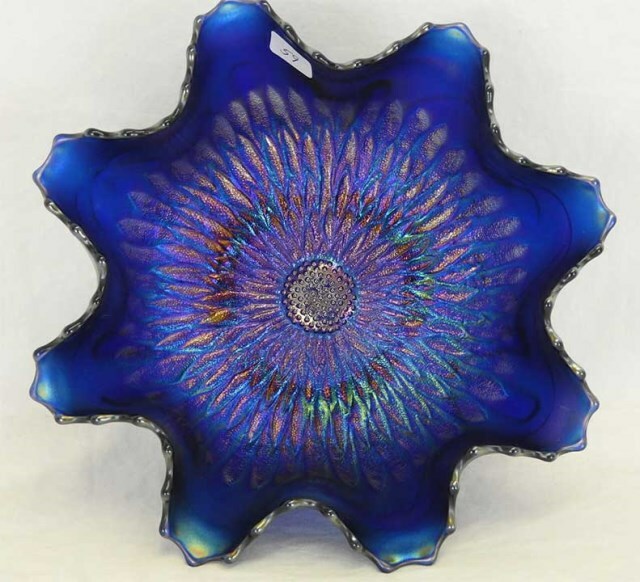 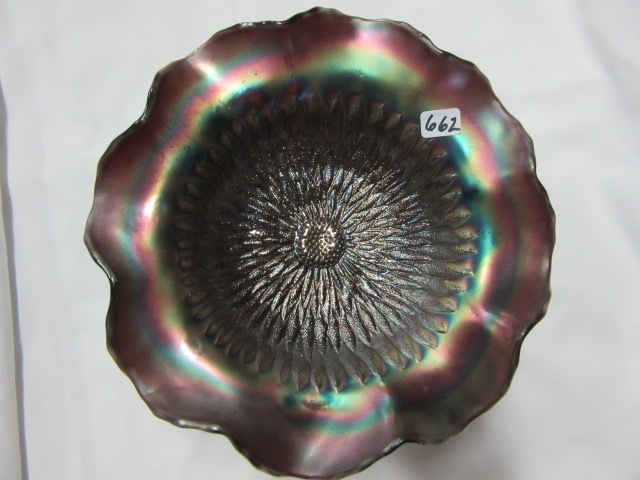 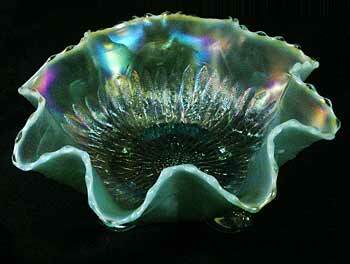 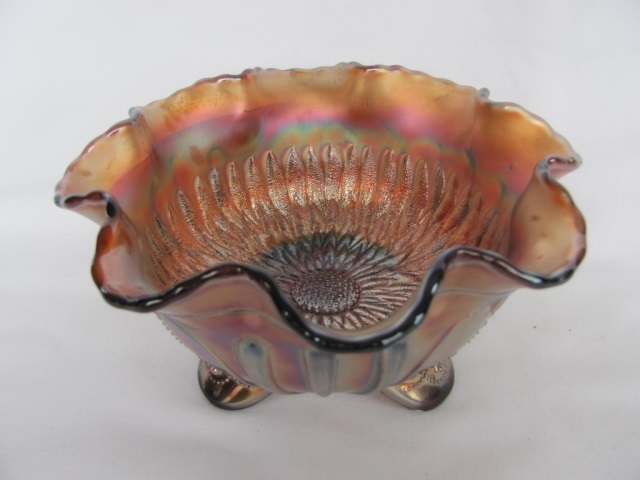 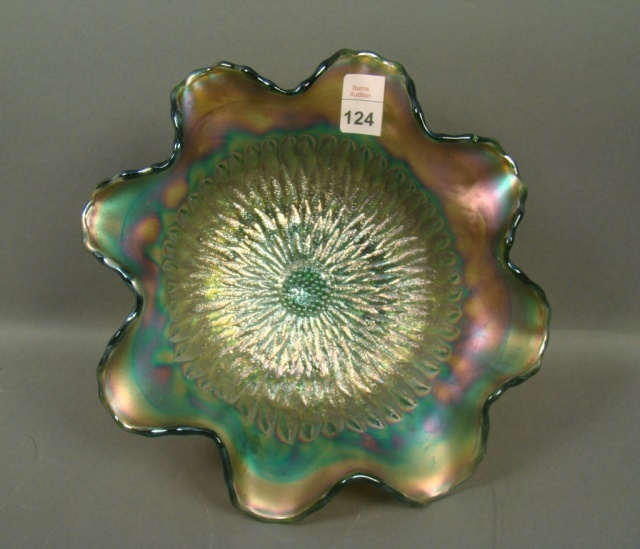 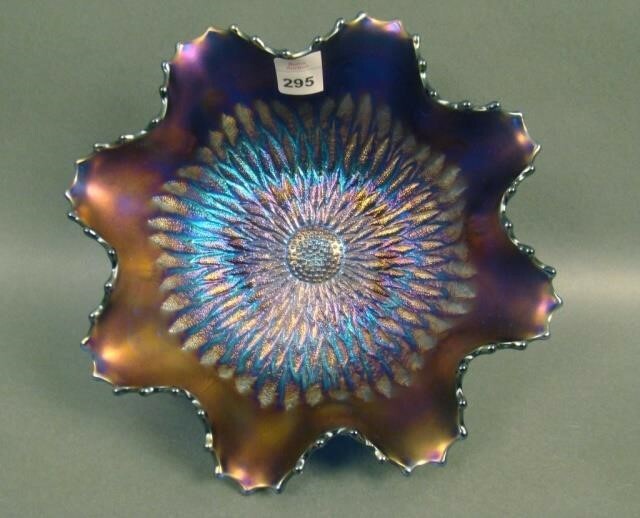 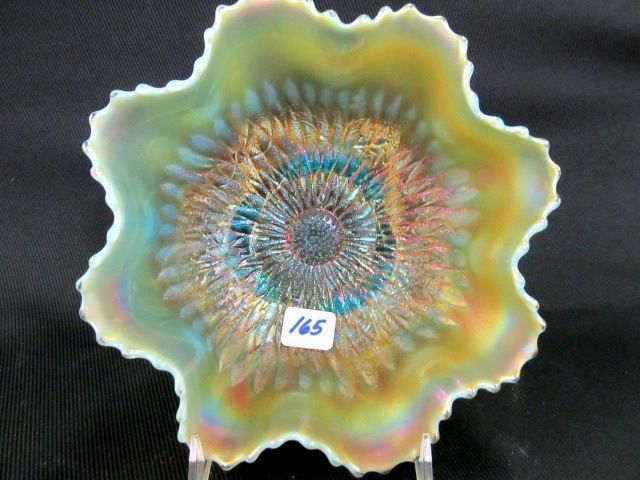 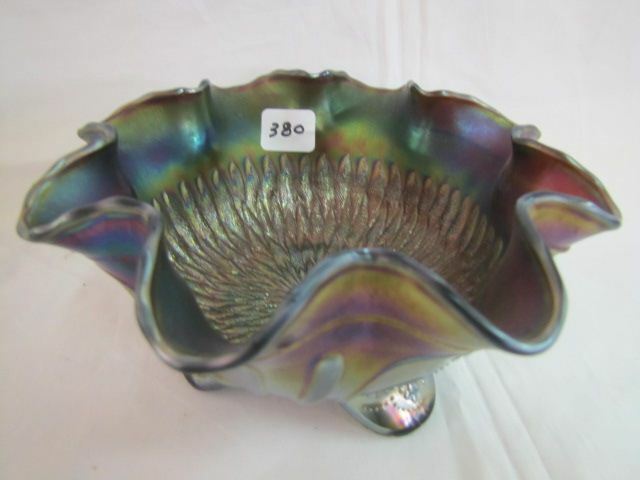 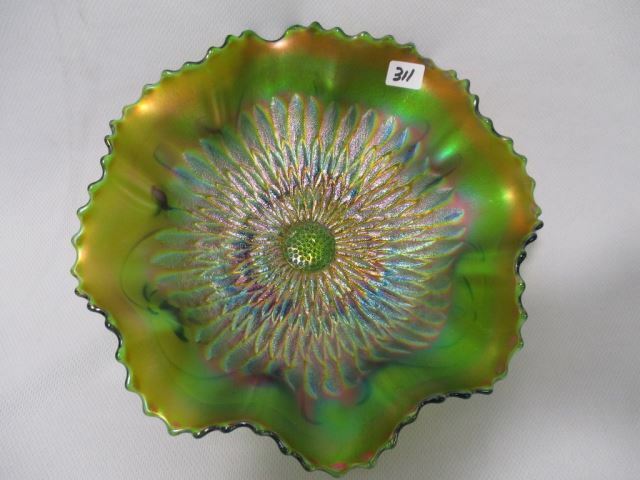 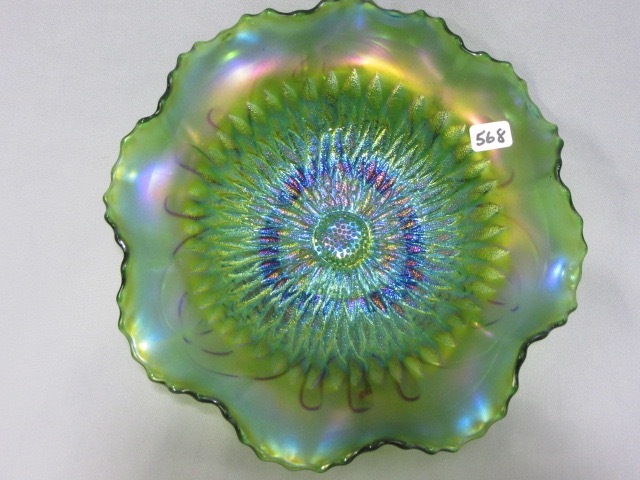 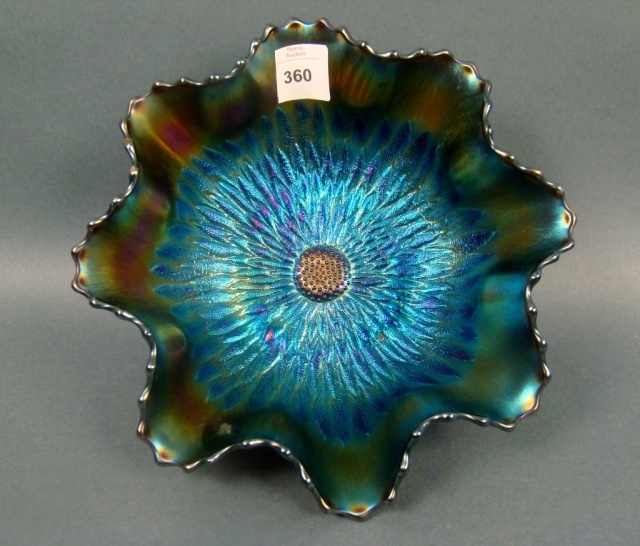 George has also uncovered another bowl in aqua opal and says both are now in the same collection.